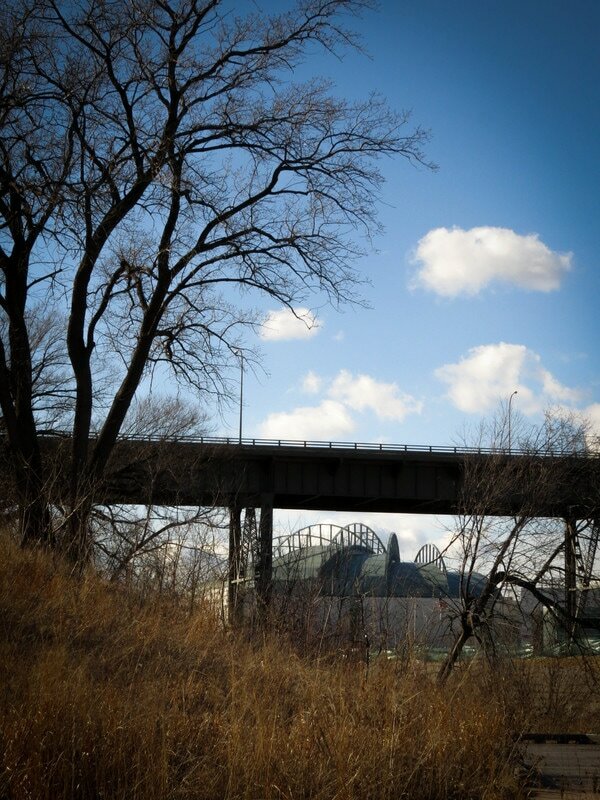 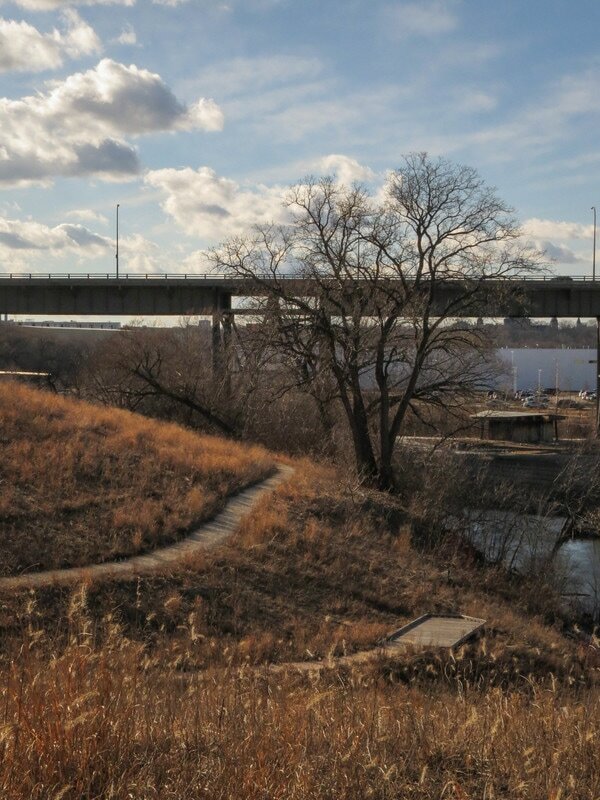 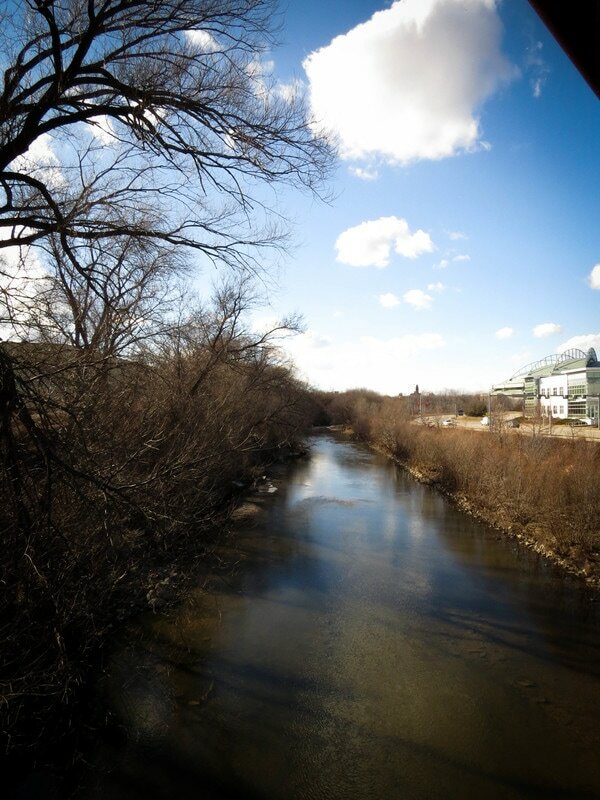 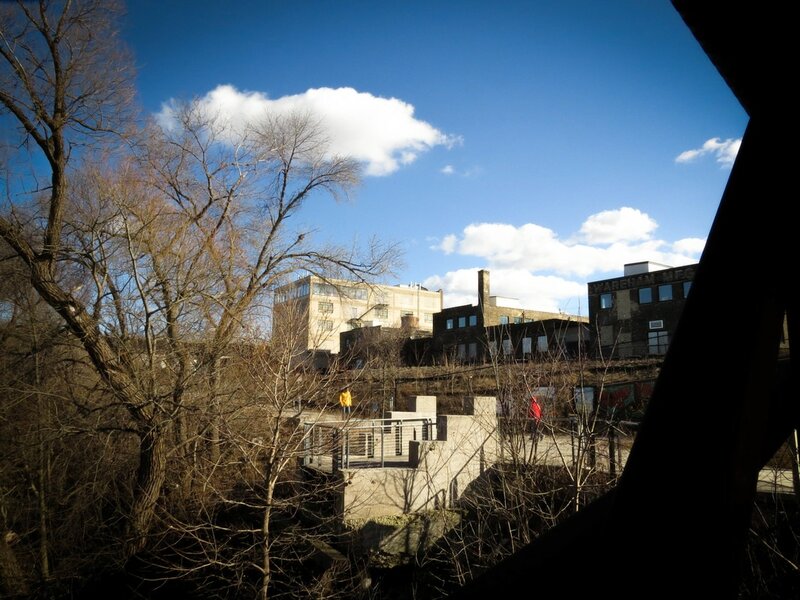 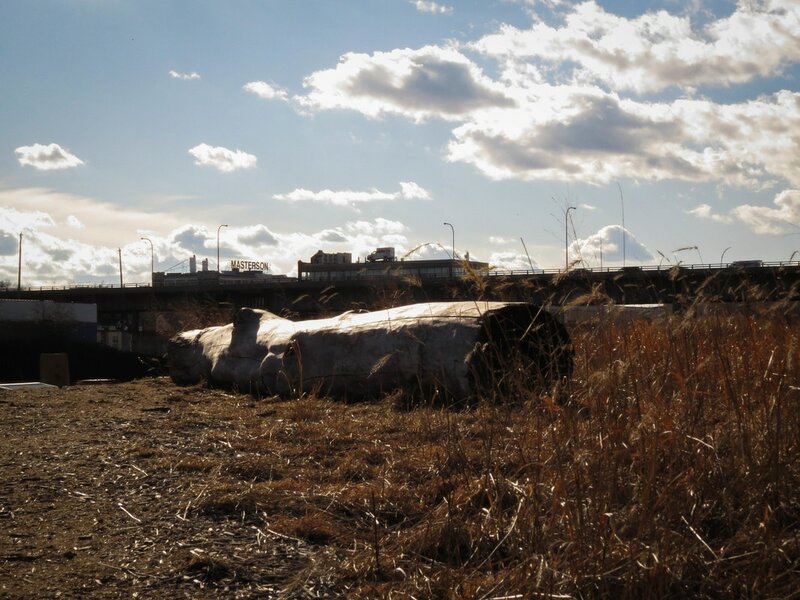 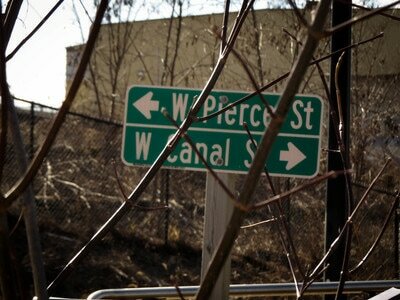 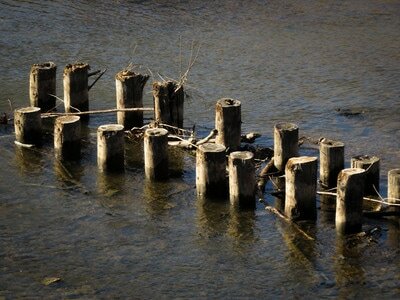 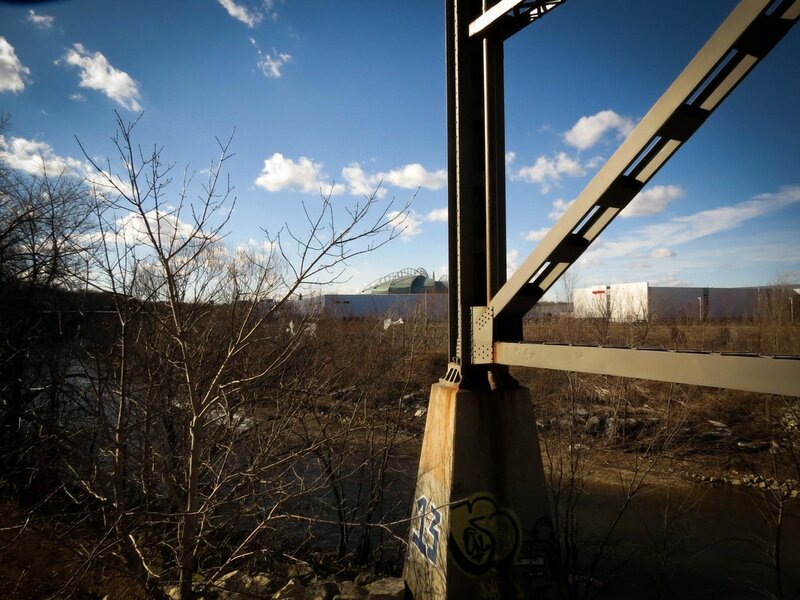 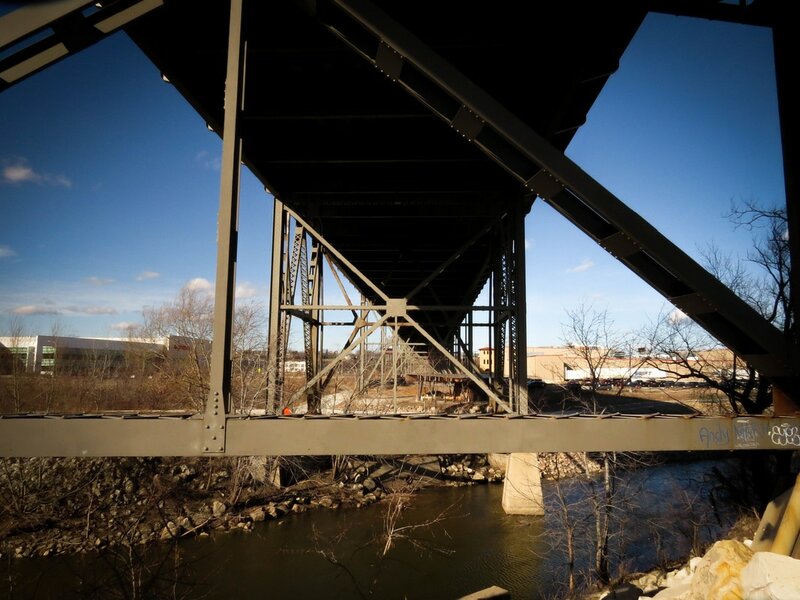 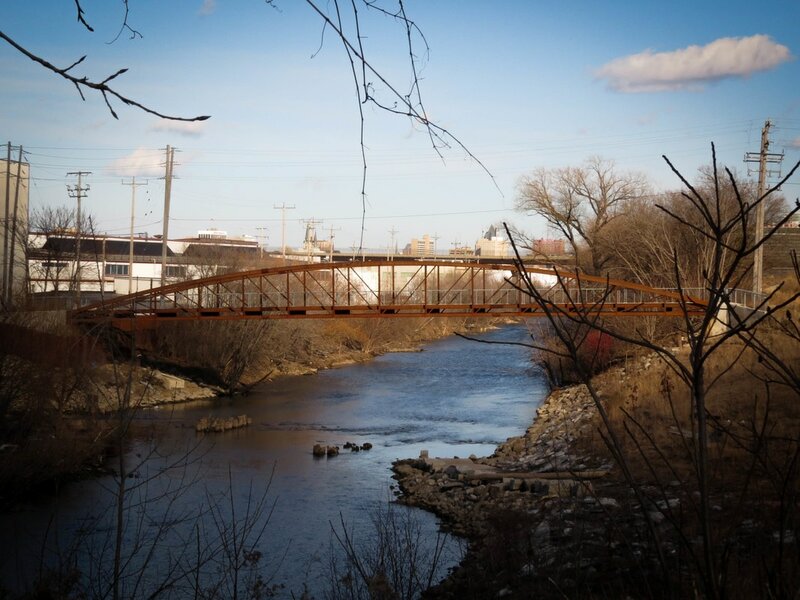 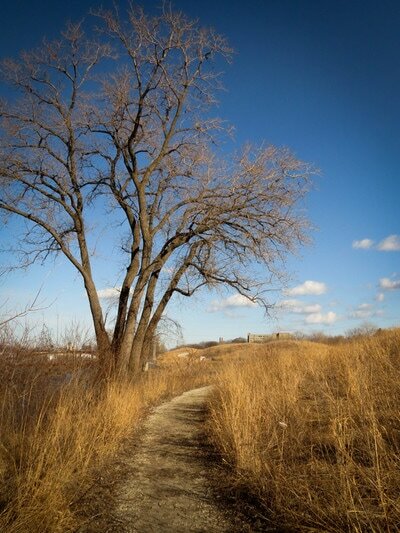 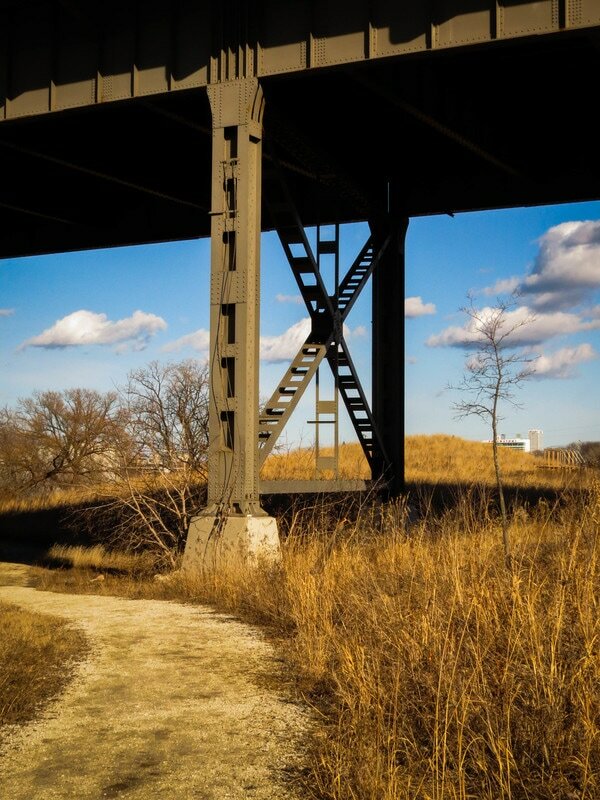 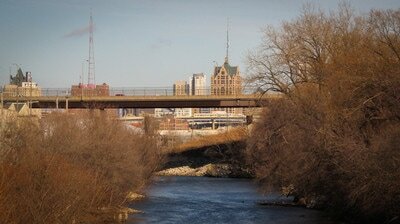 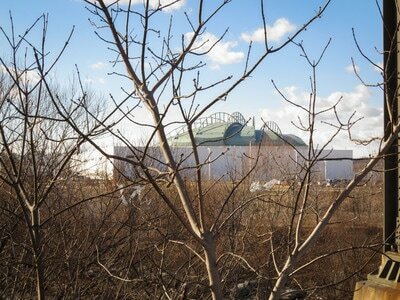 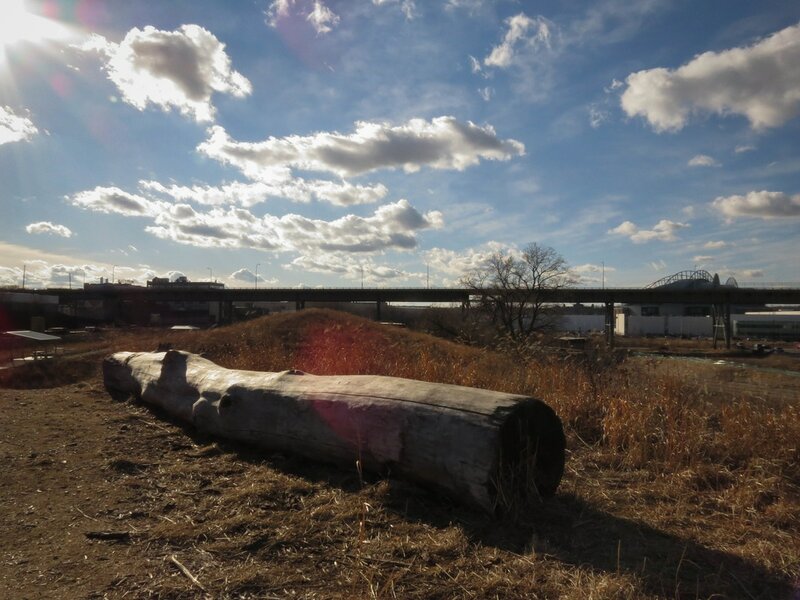 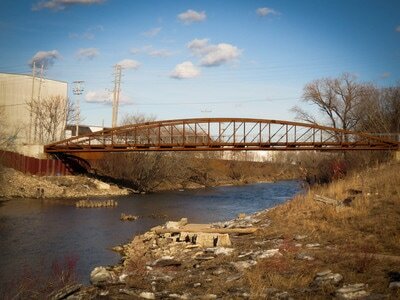 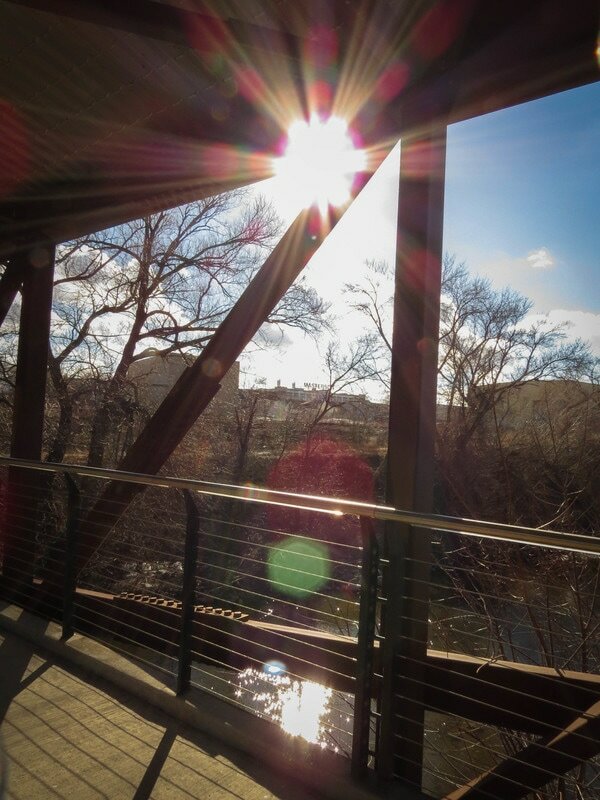 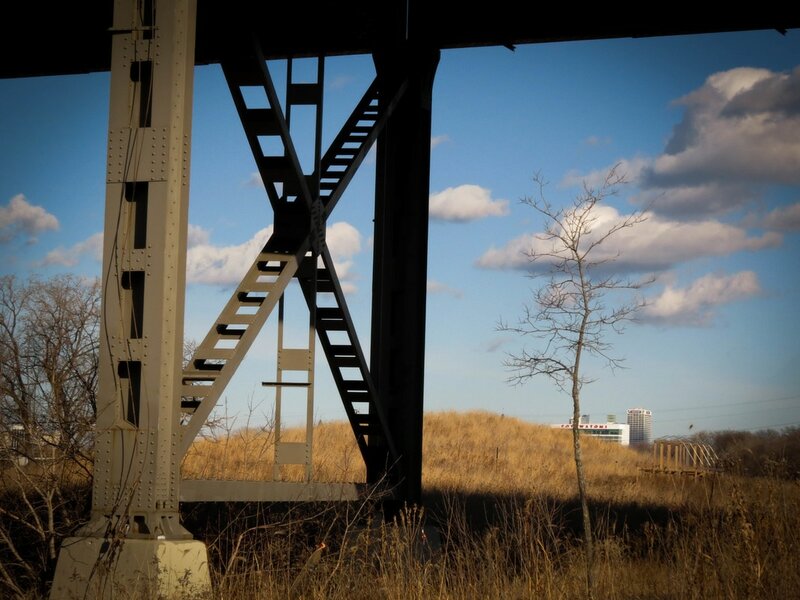 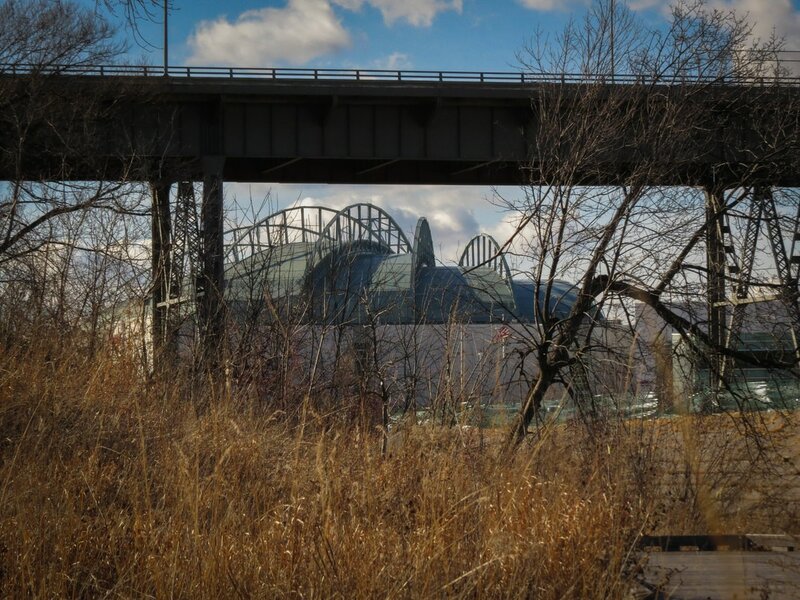 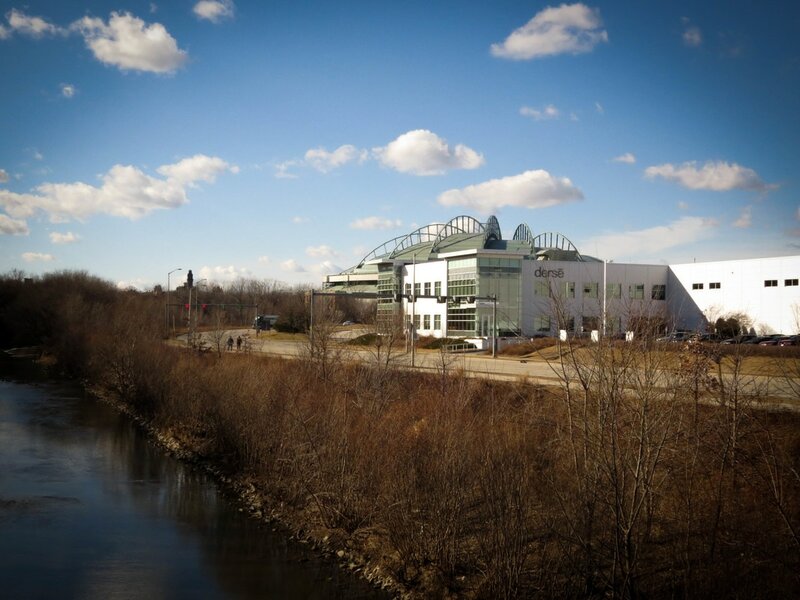 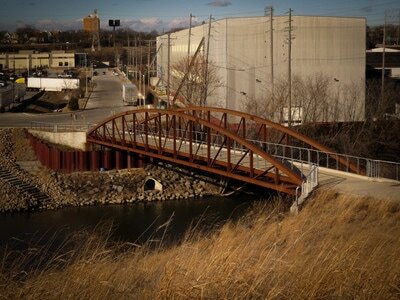 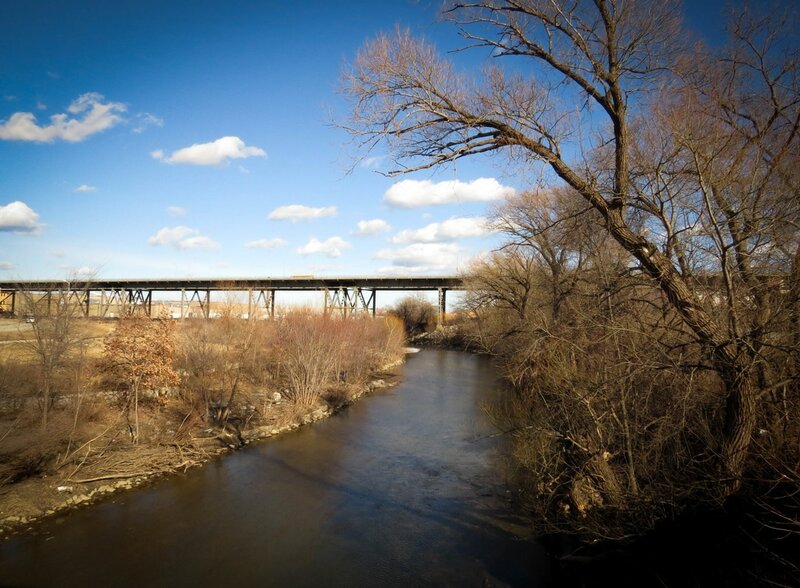 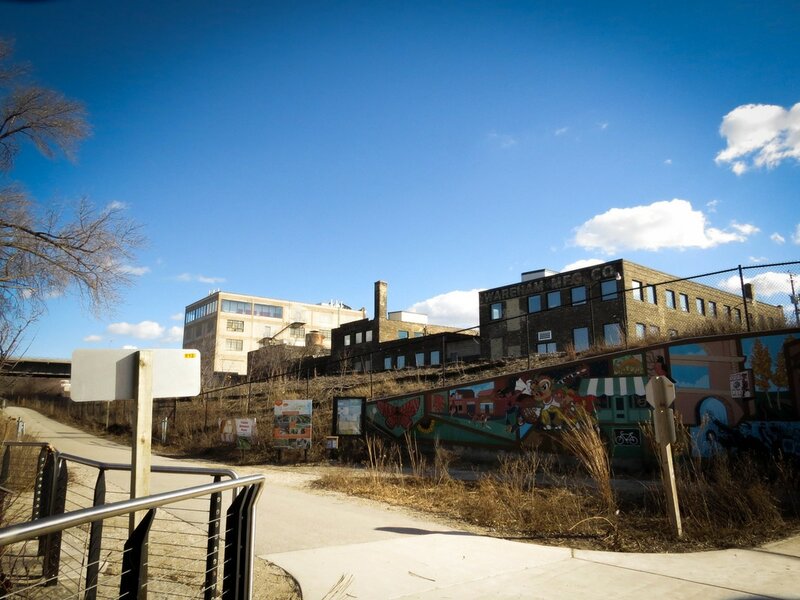 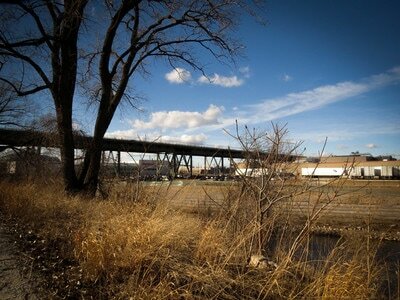 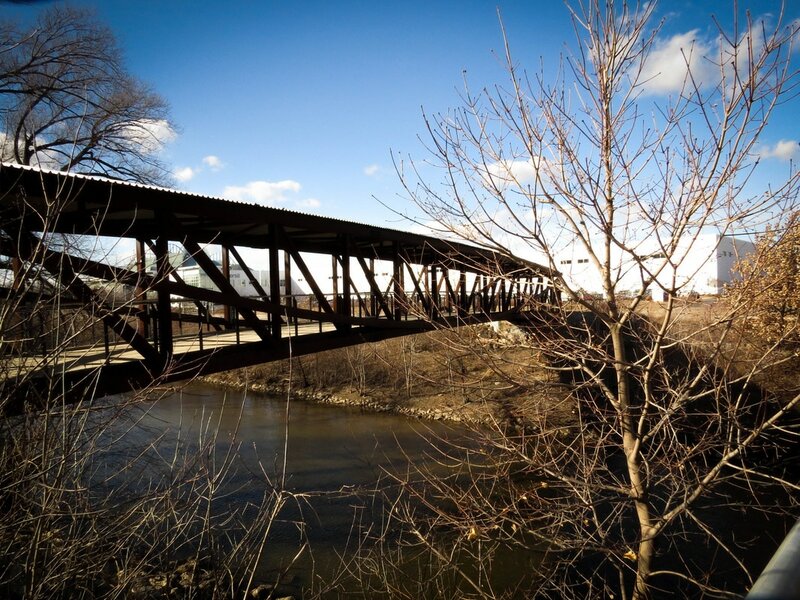 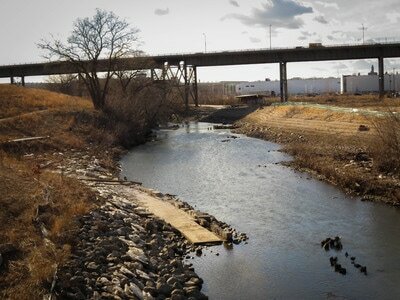 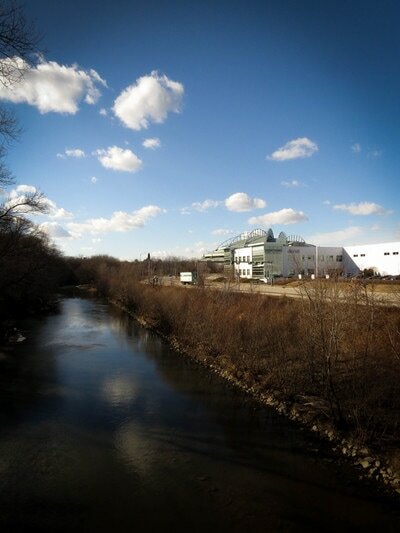 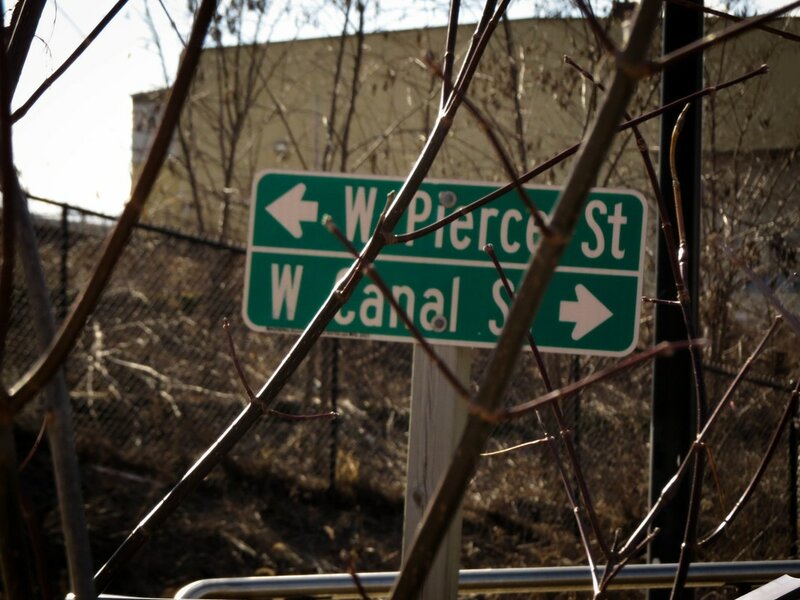 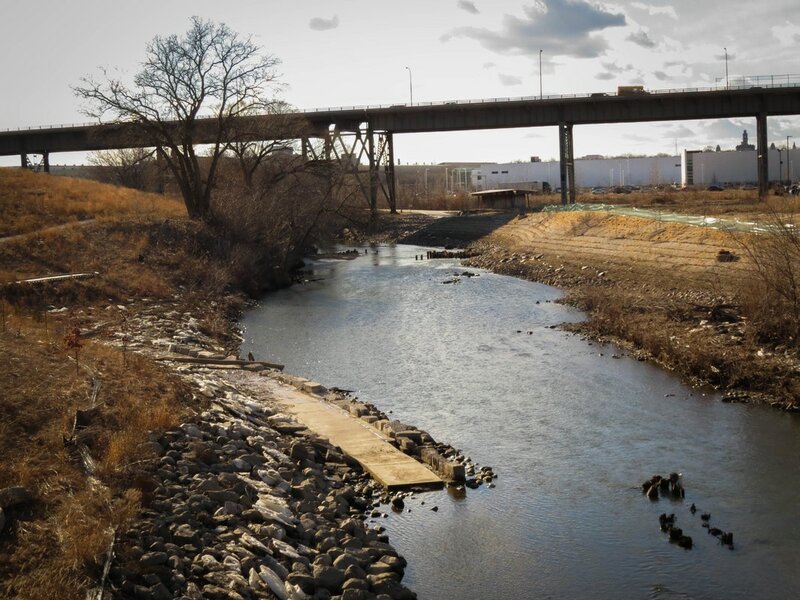 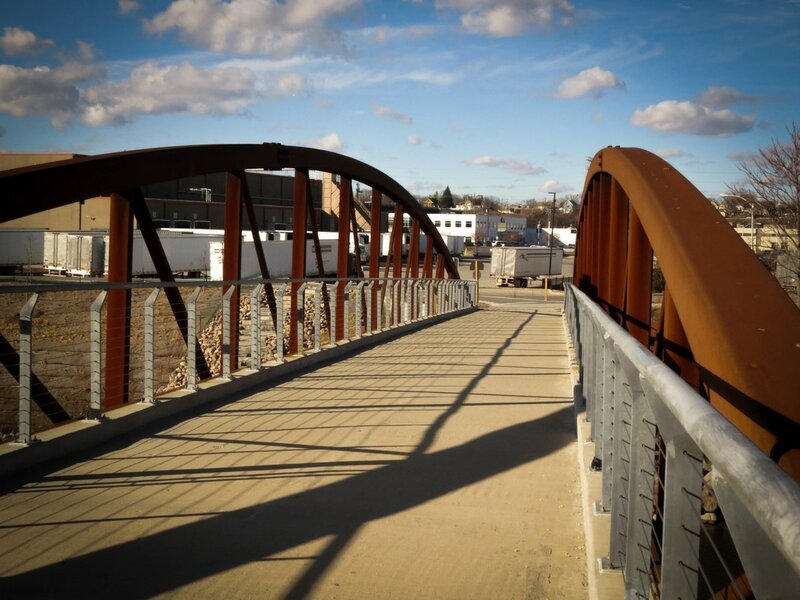 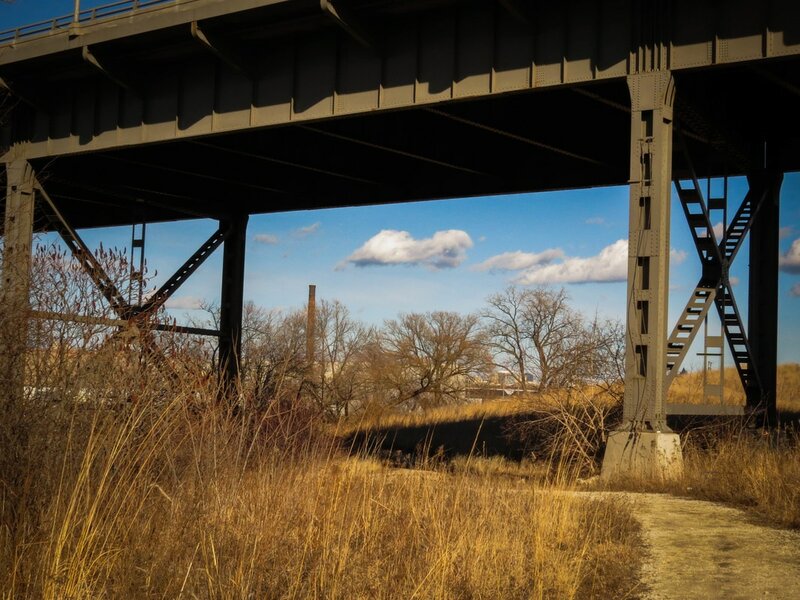 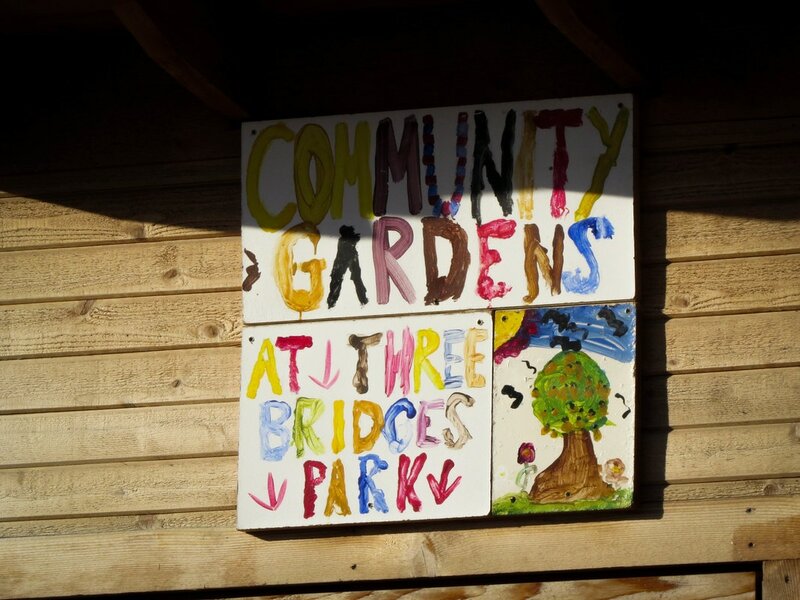 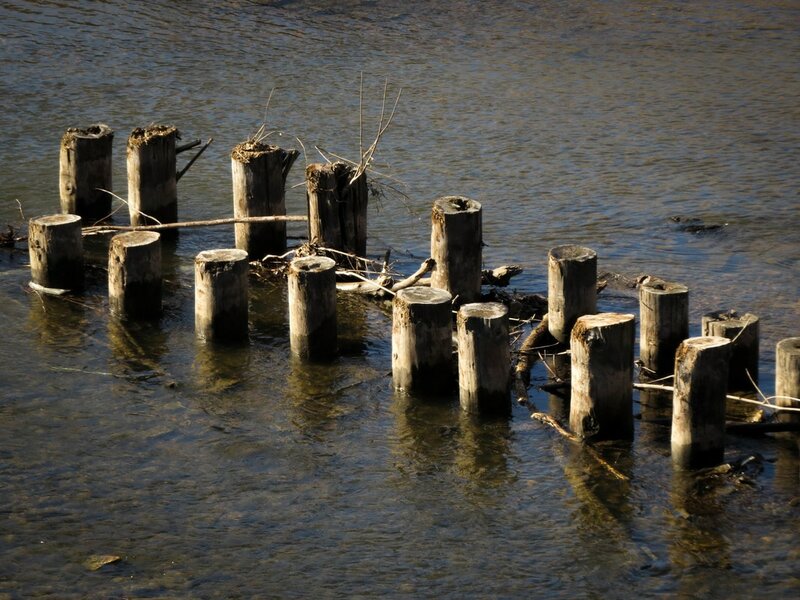 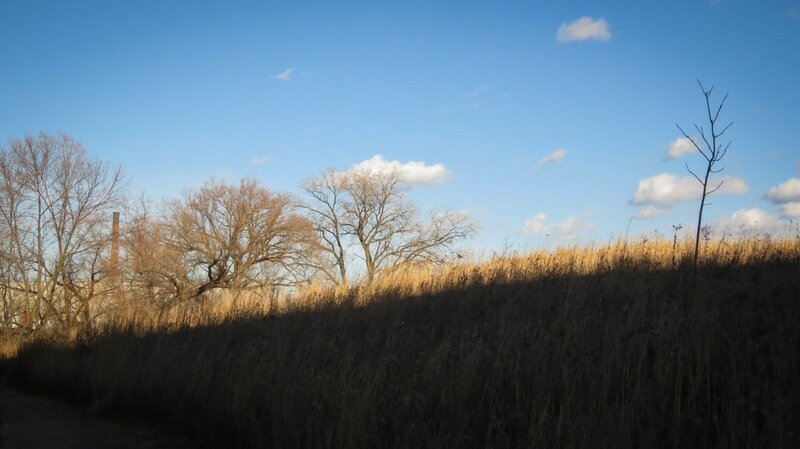 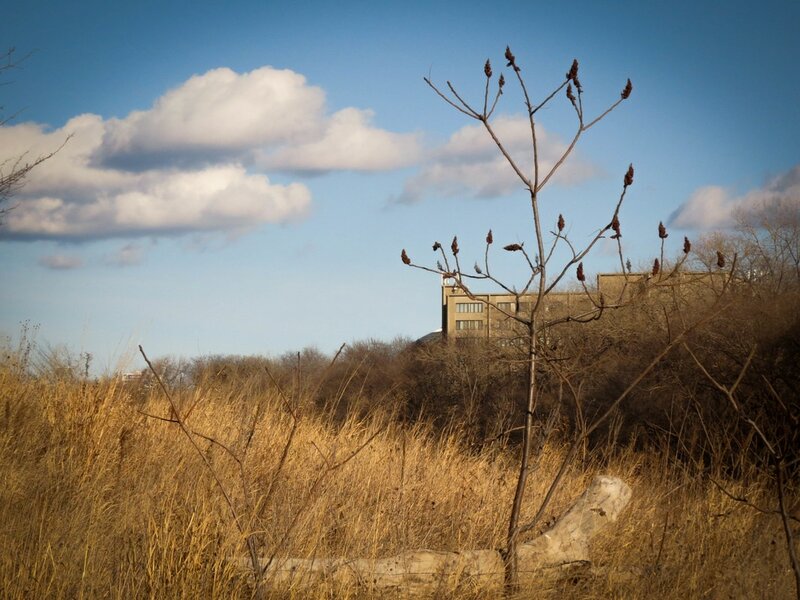 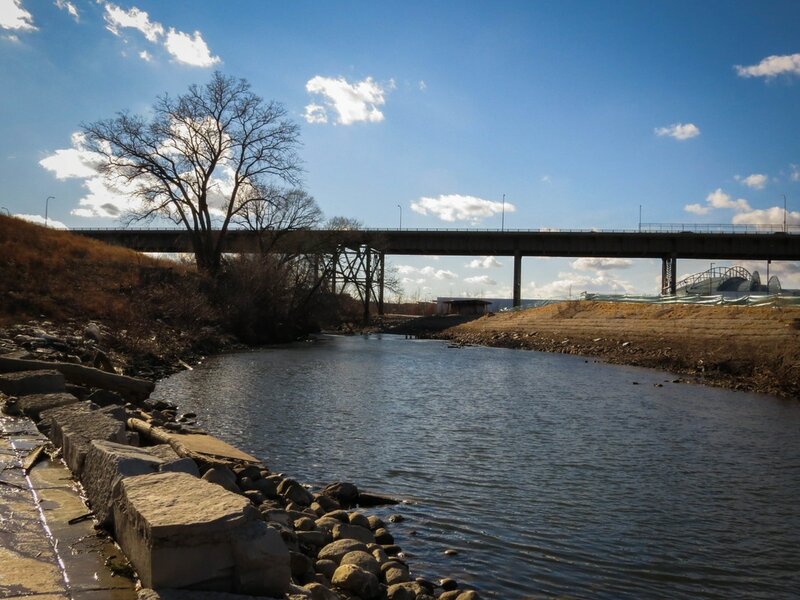 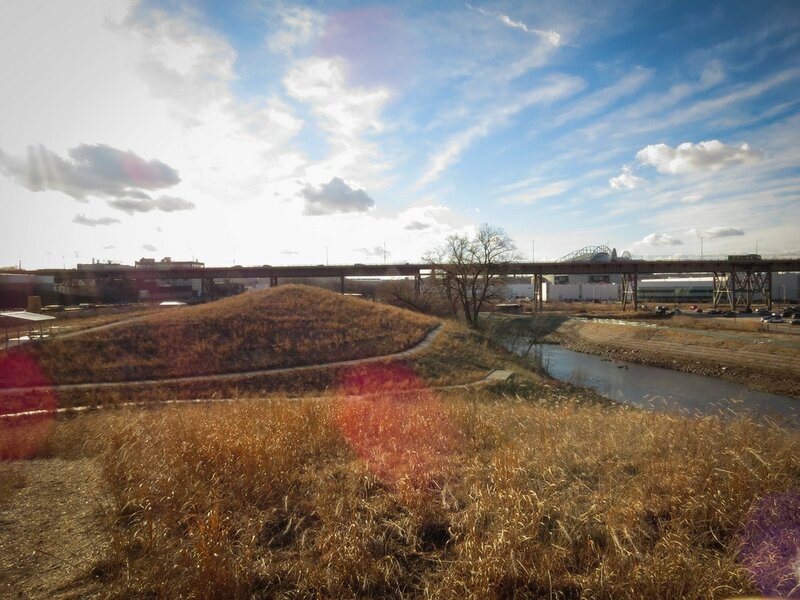 Three Bridges Park hides along the Menomonee River in plain sight. 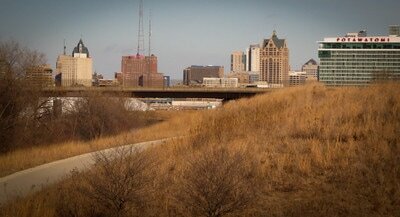 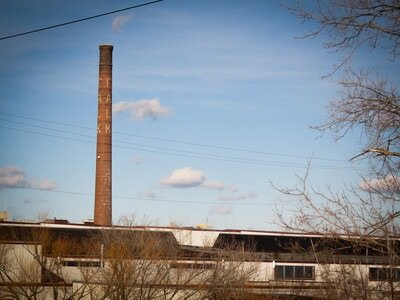 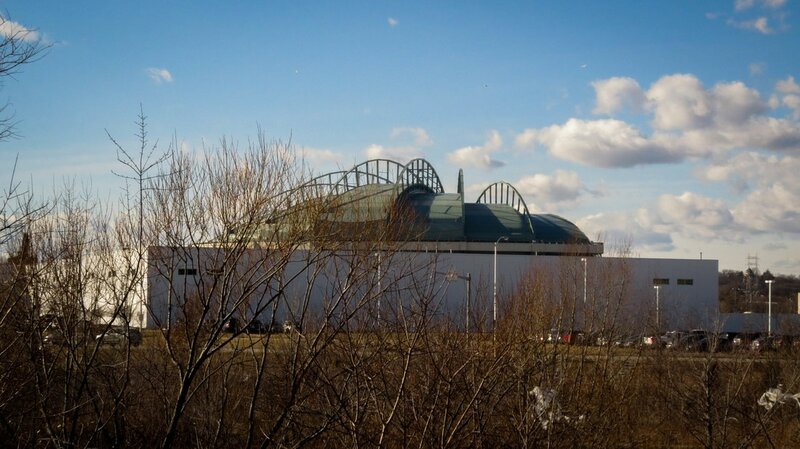 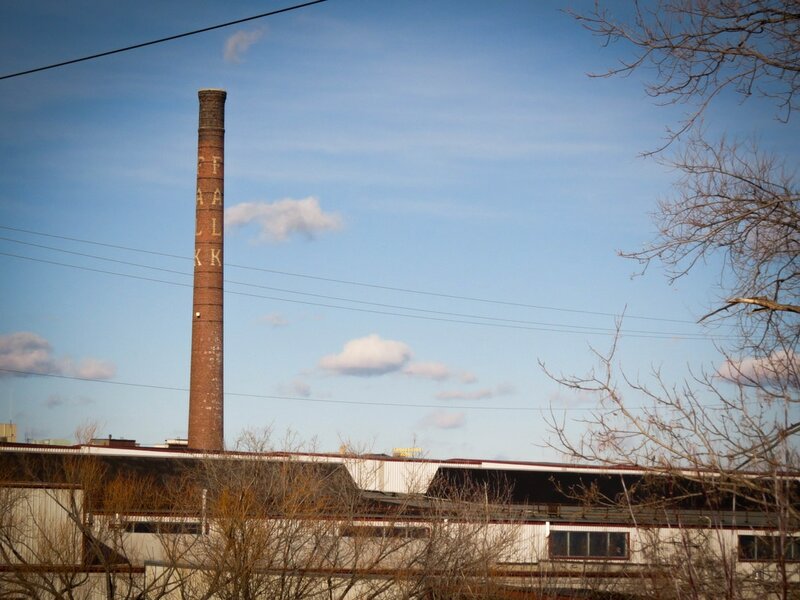 We pass it every time we head east or west on I-94 to or from Downtown Milwaukee. 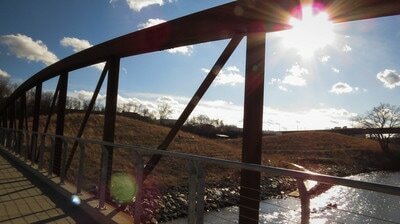 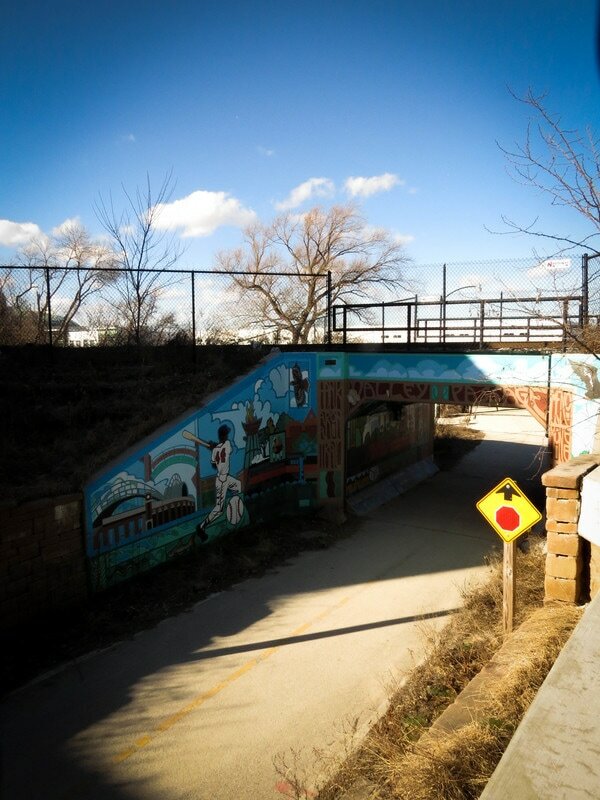 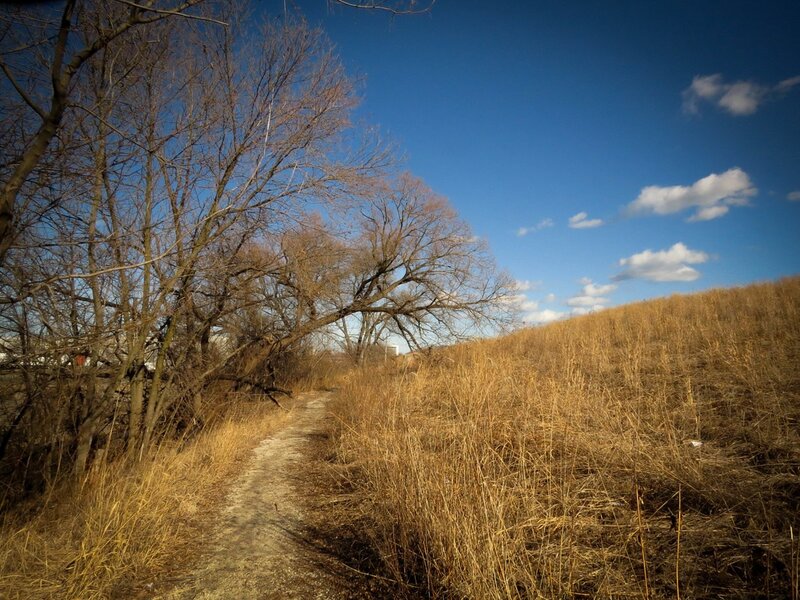 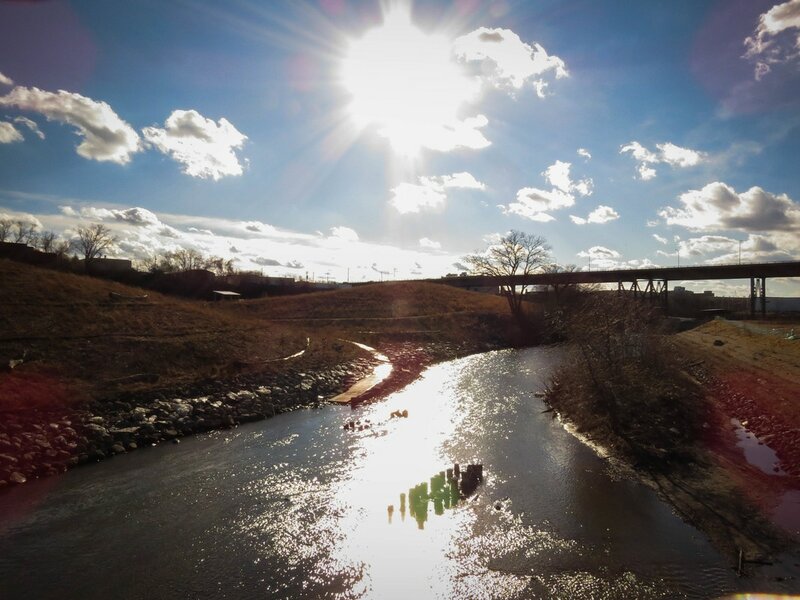 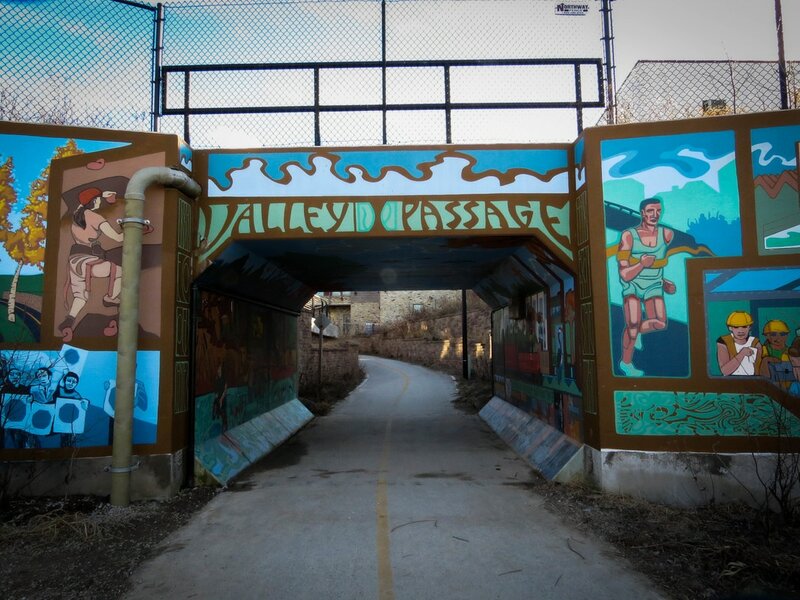 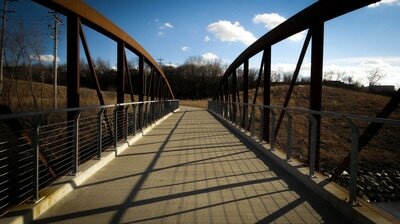 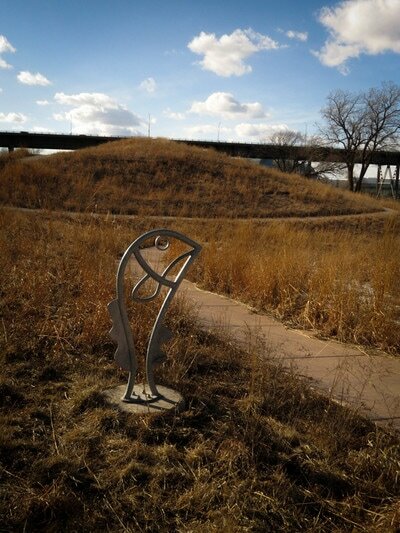 I've always wanted to check it out, and, finally, on a recent sunny winter day I made my way to the Menomonee Valley to walk the trail. I'm so glad I took the time. 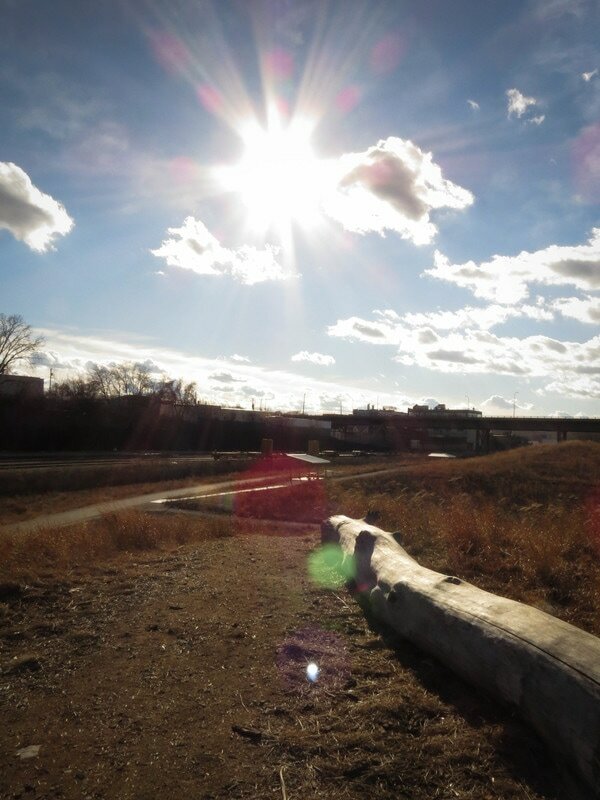 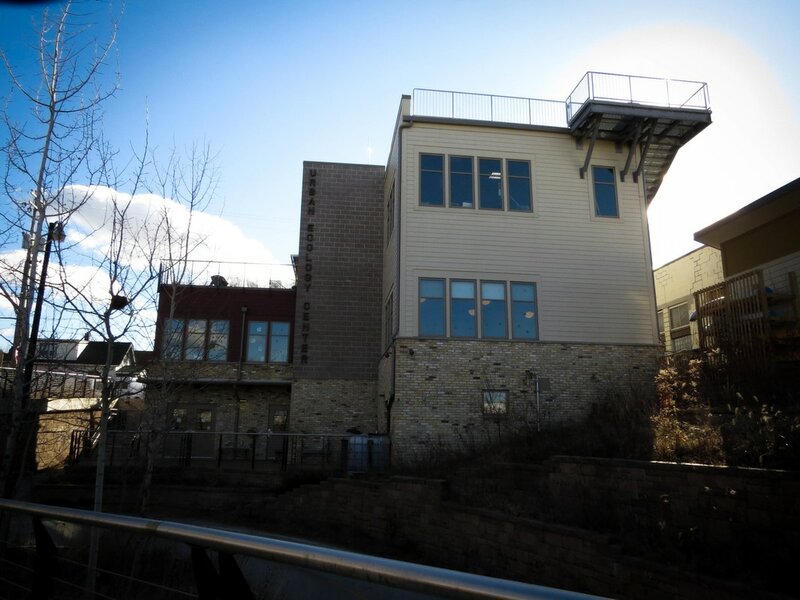 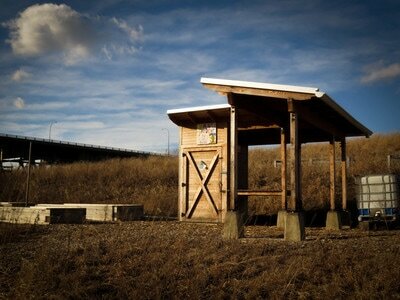 I started my trek behind the Urban Ecology Center, and headed east along the river through Three Bridges Park. Bridges, hills, trees, and the river nestled in-between buildings old and new on each side. Look west from the river and County Stadium graces the skyline. Nature and architecture in tandem. 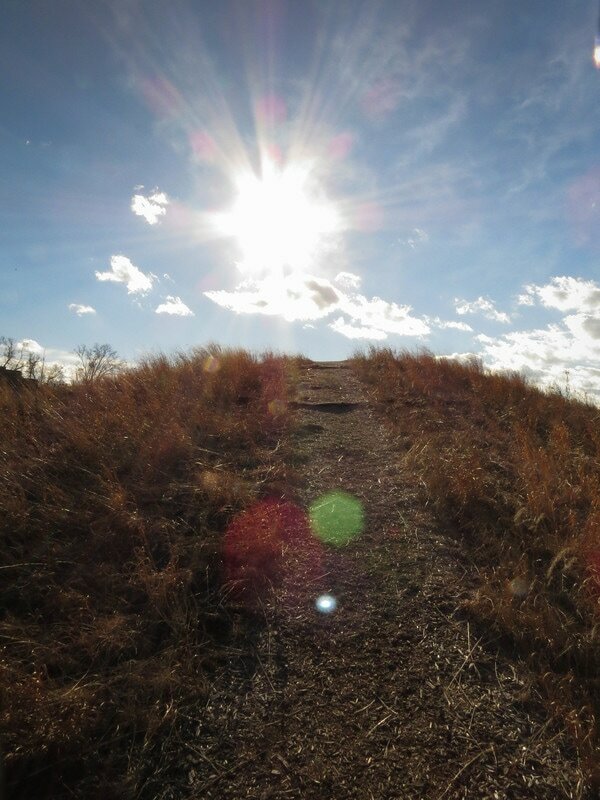 Definitely a great place for an afternoon hike or bike ride.